Since we started the SpainGuides website in 2000 we have used many travel related booking resources to help us plan our travels to and from the UK. Below we have listed for you our pick of the best travel resource websites that we trust and use on a daily basis. These travel websites and companies have continually provided us with the most competitive prices and the best possible service throughout the booking process. For that we are happy to recommend them to you. We would like to be clear that some of the links below are affiliate links, which allows us to earn a small commission to help keep the lights on at SpainGuides.com. You will not be charged any extra when using our affiliate links, in some cases you will receive extra discounts for doing so. Finding the right hotel in Spain and the right price is easy using their advanced meta search engine to search more than 2 Million deals on hundreds of websites. With a couple of clicks the deals are shown from the top travel companies such as booking.com. Agoda. Lastminute.com, Hotels.com and Expedia. This is always our first go-to hotel search platform. Booking.com is probably the largest accommodation booking site in the world now, and one we use regularly to source great hotel deals. Currently has around 1.000.000 properties on its books around the world. Offers a free cancellation policy on most hotel bookings. Plenty of advanced search options to let you home into that special offer, keep an eye out for the special hotel deals of the day normally at the top of the page. Interhome is one of the largest providers of quality tested holiday homes and apartments in Europe. Currently has around 40.000 holiday rentals on its books in Europe whereof 4.000 (mainly villas with pool) are located in Spain. Interhome is available to advice you or answer your questions around the clock and they are highly recommended by many reviewers on Trustpilot. TripAdvisor has become the undisputed king of review website, they review everything from hotels, restaurants and attractions to many other travel related services. With all that knowledge and power it was only a matter of time before they launched their online booking service. Hotels and accommodation van now be booked instantly and of course you get to check the many reviews at the same time. We have found some very interesting deals and so should you. Get Your Guide is definately our first choice go to website when it comes to booking tours in Spain. Their online platform is now heaps ahead of most of the other tour companies out there. The website is easy to use, a couple of clicks and you can choose from hundreds of tours available in all the top locations. Get personalized recommendations before and during your trip to experience all your destination has to offer. Memories aren’t made while standing in line. Book ahead and skip the lines at the world’s biggest attractions. From fast track family entrance tickets to gastro tours in the Basque country, you are sure to find the right tour for you. Get personalized recommendations before and during your trip to experience all your destination has to offer. Viator are one of the worlds leading tour providers access to thousands of tour guides in Spain. It.s easy to plan and find the right tour and guide to suit your holiday criteria. You can review individual tour guide profiles, their qualification information and guide reviews. It is also possible to contact the guide with questions, requests and any other questions you may have through an online messaging system. Lots of reviews, information and images make it easy to book tours online and there are plenty of good priced tours around Spain. RentalCars.com are one of the worlds leading car hire companies so using their search facilities to the full there are always plenty of bargains to be had. Remember if you are a UK resident you can save even more money by taking out separate daily or annual car hire excess insurance ( see below ) There are also lots of great car hire deals, specially for limited mileage deals, so if you plan to drive less then around 800 kilometers select the option for cheaper quotes.. When we travel around Spain we nearly always hire a car which gives us the freedom to explore every corner of the country. As avid golfers we often book the Renault Kangoo which easily fits our golf bags and luggage. We are always out to find new and exciting places around Spain that we haven’t yet visited and car hire is perfect and economical for that purpose. We have had many good deals from Holiday Autos, it is very easy to see the best deals when searching on their website, try it and see for yourself. We invariably always head over to the Skyscanner website when searching for the best flight deals. Very user friendly, with a couple of clicks you will quickly see the best rates and a large number of alternatives. 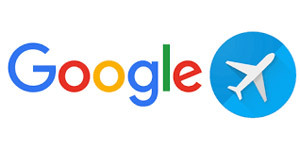 A simple interface as you would from Google with lightening fast results. Well worth searching here specially for long haul flights. For most people looking for flights when travelling to the Spain from the UK they will use one the low cost budget air companies as they are pretty hard to beat. Icelolly.com is a relatively new on-line travel website but are making a big impact in the holiday travel market offering heavily discounted holidays. It compares thousands of Spanish package holiday deals from hundreds of travel companies at once, that’s pretty impressive. There are no online bookings though as you need to call the telephone number quoting a unique reference code which appears by each deal. Calls are charged at local rates including mobile minutes. Loveholidays are revolutionizing the way package holidays to Spain are offered. There are plenty of options to chose from on the Loveholidays website and better still lots of special offers on a large selection of hotel and beach holidays to all the main Spanish resort including Barcelona, Tenerife, the Costa Del Sol and the Balearic Islands. And if you like to book well in advance and plan your holiday budget, Loveholidays offer four flexible payment options to chose from, in a bid to make your holidays more affordable. We have often found budget busting deals on the On the Beach website. They offer a wide range of discounted hotels, flights and holiday packages to Spain. On the Beach do not actually sell holidays rather they let you piece together packages from other travel suppliers. They offer a variety of deals including self catering, B&B, all Inclusive or half board and healthy savings on last minute deals from airports all over the UK. Low deposits with the balance 2 weeks before your holiday departure dates make it very interesting, specially if you are part of a large group. Word nomads is another popular company specialising in travel insurance. They offer some very good plans to suit just about every kind of trip. If you are looking for the extra cover for luggage and cancellations then it would be well worth getting an instant quote off their website. This is one of our best finds last year and has already slashed hundreds of pounds off car hire. Car hire excess insurance covers the excess which the hire car companies like to charge huge amounts for when you collect your pre-reserved car hire. If you plan to travel to Spain a few times a year this type of insurance will save you even more as the annual insurance is often little more then the normal 7 to 14 day holiday. Our second go to company when we require car hire excess cover. Annual policies are available from just £40, amazing when you think what the care hire companies are looking to charge to eliminate the excess charge completely, which can amount to over £120 per car rental. Other popular travel insurance suppliers. And one of the best ways you can do this is to ensure which ever travel company you book through is ATOL protected. 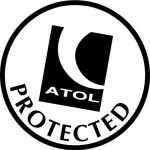 All the companies we have referenced above are fully guaranteed by the ATOL protection scheme. But who and what is ATOL ? ATOL is a financial scheme set up by the CAA ( Civil Aviation Authority ) to protect the rights of travellers that once the holiday has been paid to an ATOL member a traveller will not loose the money or be left stranded in a foreign country due to the travel agent going bust. What bookings are protected by ATOL ? And provided that the Package or Flight Plus booking contains a flight departing from United Kingdom to a non-United Kingdom destination and for a duration of over 24 hours. 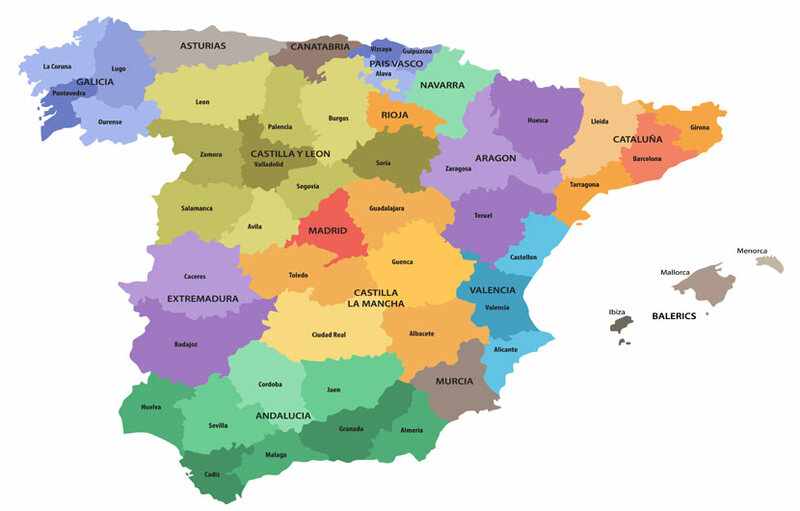 There are 19 main tourism boards around Spain and hundreds of local tourism offices located in just about every main tourist area. hese offices are a great place to gather localised information on the area you will be staying. There are always plenty of free leaflets on offer and the staff are always friendly and only too willing to provide you with any relevant information and assistance you may require to ensure a prefect holiday to Spain.